Among other things, like curing concrete, I'm working with a couple of strippers. The last bits are the hardest to remove. Last edited by 66stepside on Sun Apr 09, 2017 8:17 am, edited 1 time in total. I hear they take cards now days. I'm just not sure I'd want to keep it after making the swipe. Cards, eh? I guess technology gets around! One wall is kinda done. 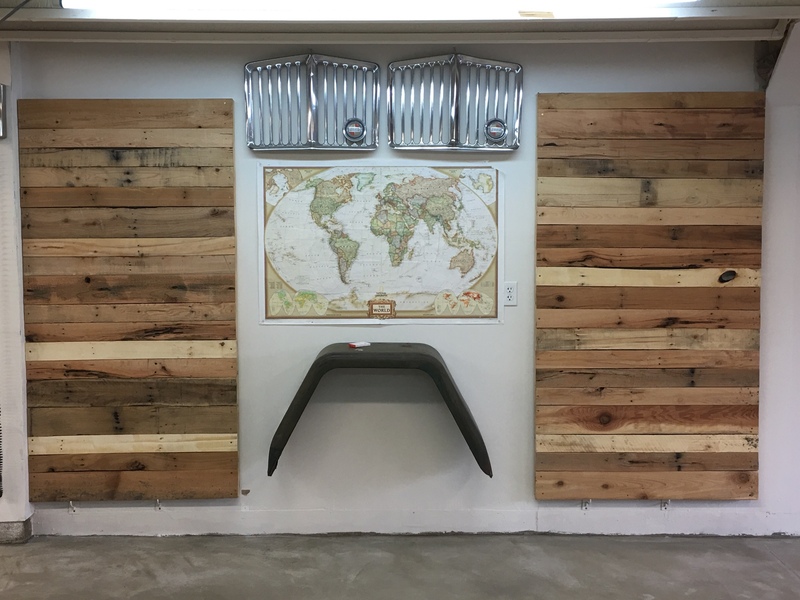 Those pallet walls are removable. You, sir.... Are a gladiator grille hoarder!!! tedlovesjeeps71 wrote: You, sir.... Are a gladiator grille hoarder!!! Haha, then you don't want to see the other wall. I stayed up till 11:30 the other night to seal the floor with two coats. So she's ready to host the jeeps for the first time. My son's ride didn't make it in as we ran out of time. Dang, this place is a zoo! I can't find anything I need! Wife sent me this to torture me. Reminded me of your efforts. Now that's a garage wall to be proud of! 1. how did the truck do with that trailer and bobcat? I am selling my J10 based on how it was pushed all over the road by my YJ in tow..
2. I keep looking at your small trailer and would love to have it, if i could justify it. You do amazing work! 3. envious of the shop space. 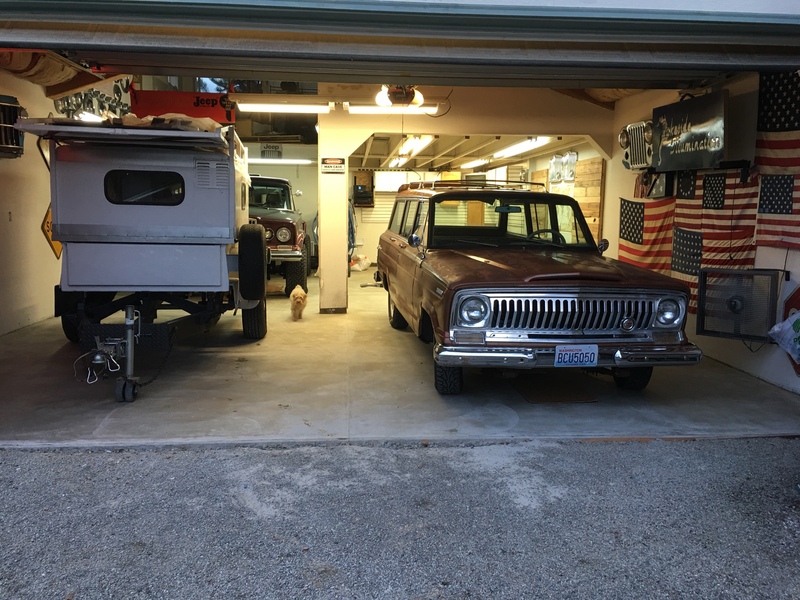 I have missed my 3-car garage ever since i sold the house in Boise. With the bobcat it did pretty well- I should've hooked up the trailer brakes, but their set up did not match mine and it was only 9 blocks away. I don't know what I did before trailer brakes, but the electric brake set up is pretty simple to install in a 66. It did help to have j20 axles under it, though. I love the little white trailer. 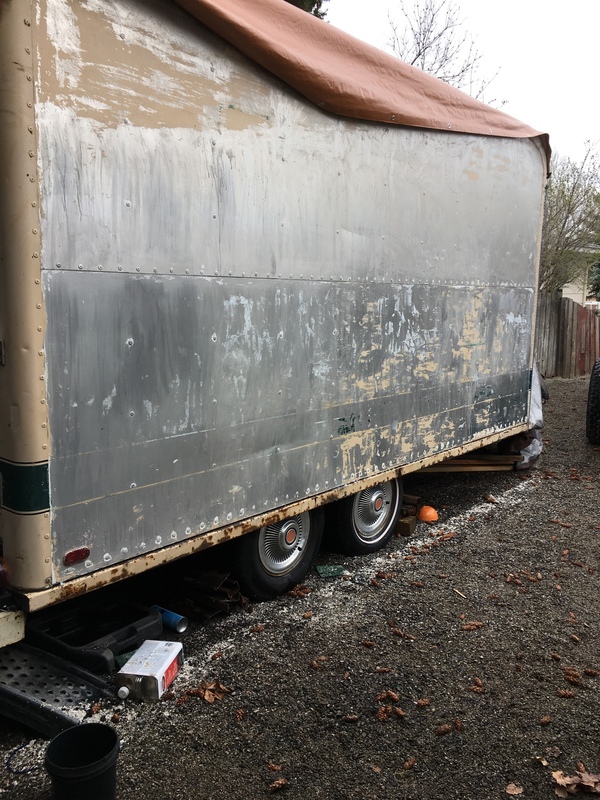 It nearly went to the Washington coast in trade for a 20' 1965 Airstream trailer that had the interior removed, but the guy ended up telling me conflicting info and I got skittish and backed out of the deal especially when I ended up with the 15' box van body mounted to the tandem axle trailer. 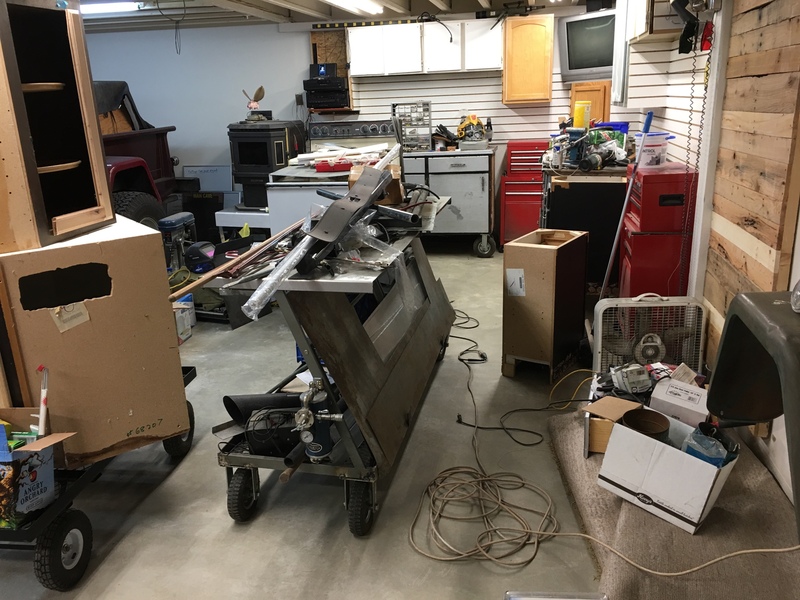 Yeah, this garage has been a work in progress over many years as I have been paying cash for everything as I built it. Concrete was the last thing I needed! I'm stoked. It's been overwhelming moving back into it after having everything stashed in the family garage and this one. I have been cleaning up the loft and finding stuff I had forgotten I even had. Sad, but true. I'm getting 3 piles of stuff ready: sell off, keep, toss. Haha, if my back and shoulder survive this whole process, I should have plenty of space for what I do. 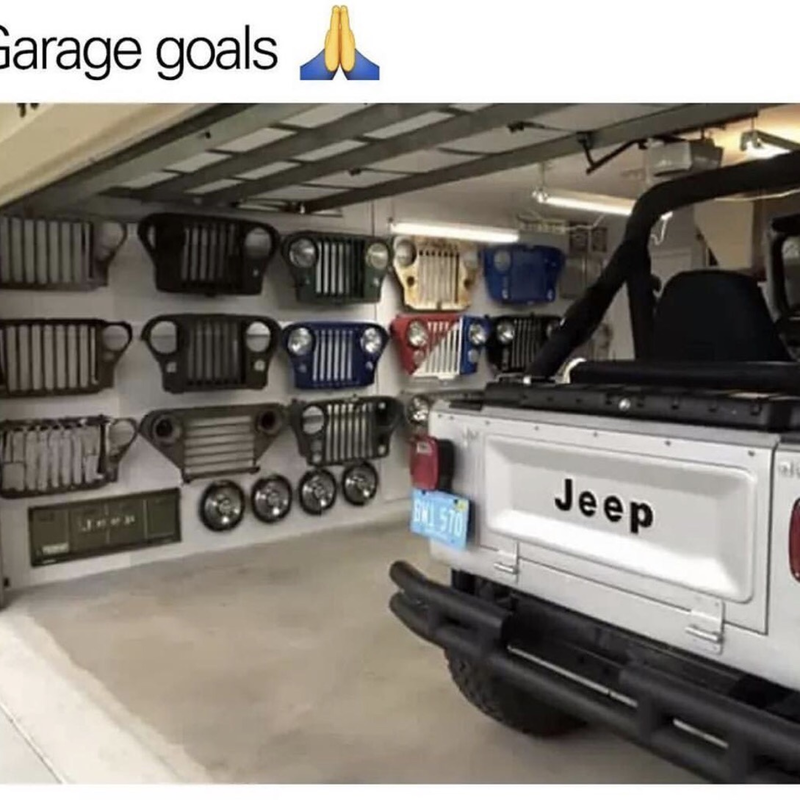 I've been to Boise several times- 3 to be exact, all to look at jeeps! Haha, this whole area is so beautiful. The Boise area is no exception. Thanks Chris! It helps to have summers off, but it may be more helpful to have a very understanding wife! I think she enjoys knowing where I'm at! There's no time like the present to get started on a build- even if it's just scrubbing the dust off and washing the windows. My family is helping me sort through my stash O'parts trying to whittle down what's needed, and what is not needed. It just so happens that the passenger door from a 1414C was placed in a rather interesting location. I've got a spare truck. 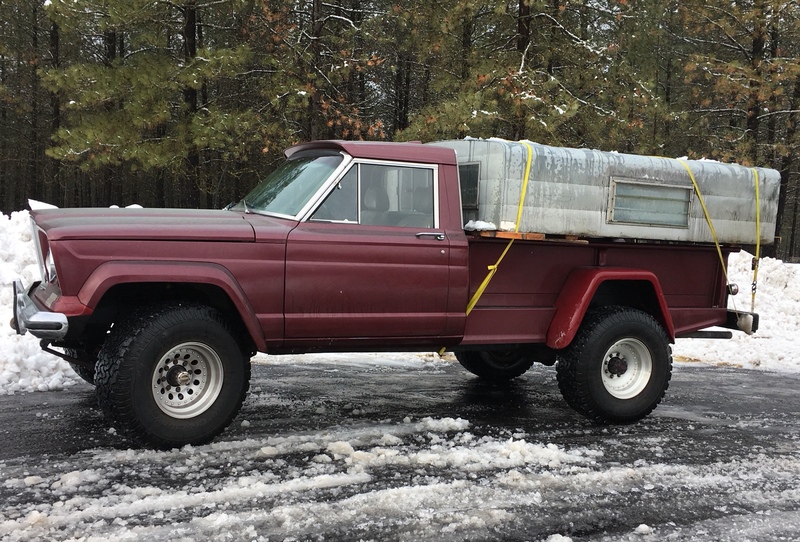 Imagine grafting that box van body onto the frame of a truck, or wagoneer. I'd leave the tandem trailer axles on there, hook up the electric brakes on those rear axles and drive it in 4wd high with just the front axle engaged! Hahaha. The car show was kind of a dud. I did snap a pic of a killer COE. That COE is b1tchin! I love those things. My wife always looks nervous when I see an old COE fire engine along the road. 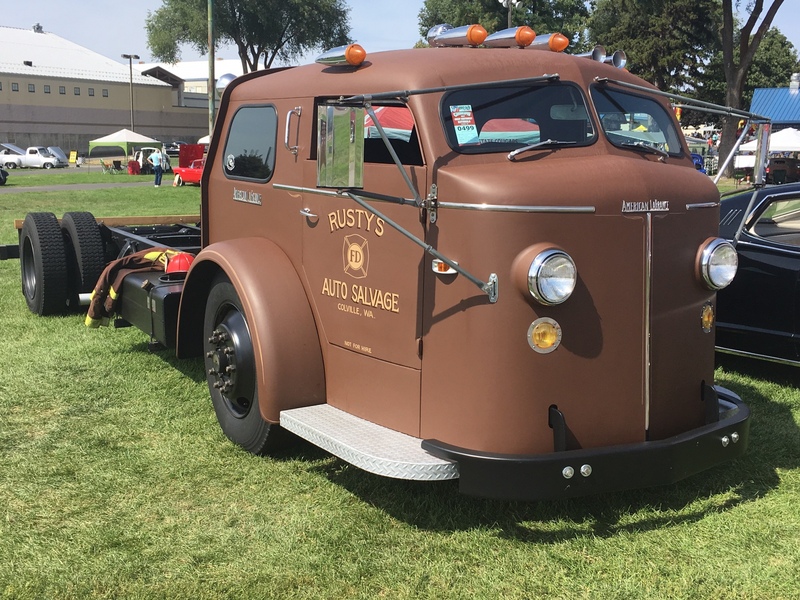 I keep dreaming of making one into a hauler with a little sleep cab built into the back of the cab. That was, by far, one of the most well executed COEs I've seen. It was really nice. I wish I had something like that, too. I snagged a old canopy for the 66, and, as per usual, it will have to be modified to fit. 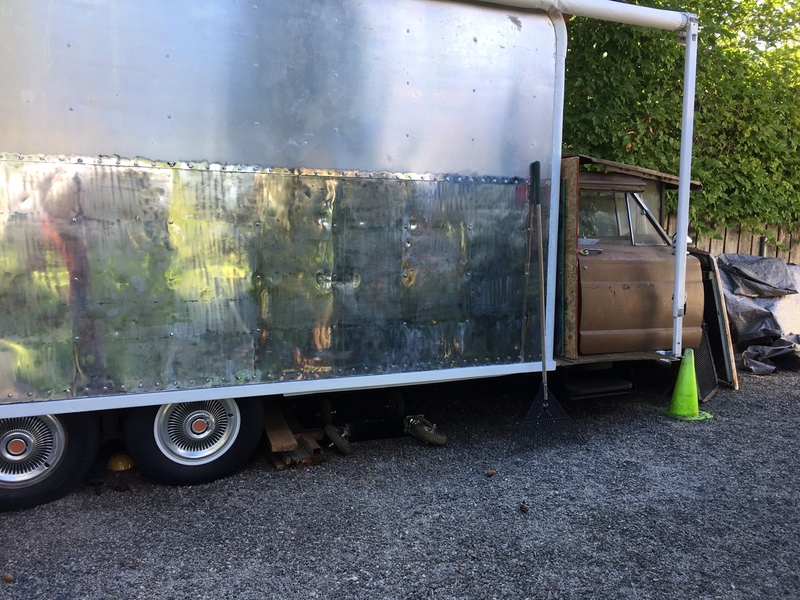 Unlike the canopy for the truck bed trailer, this one is aluminum skinned, so it’s relatively light by comparison. I’m debating whether or not to put a lumber rack on there like the truck bed trailer.